So, you’ve decided on having some pictures made while you’re in Korea, but where to do them? There are so many different places and so much variety, despite the small size of the country. Even Seoul itself has so much potential in so many different styles. Do you choose a park? A palace? The urban streets? Maybe you want to leave Seoul altogether? Let’s take a look at a few different options in the big city, then a couple further out. Don’t forget to check out my guide to Korea’s seasons as well to make sure you’re ready for the weather! Your photo session with WelkinLight Photography will be focused on you and your family or partner and your interactions more than the location, but since you’ve come all this way, wouldn’t it be nice to have something uniquely Korean in the background? For this, I wholeheartedly recommend the palaces in Seoul. These stunning structures represent historical Korea like nothing else in Seoul. Although there are many to choose from, I recommend going with either Changgyeonggung or Changdeokgung. The main palace, Gyeongbokgung, is very spread out and very crowded. We can get much more done, especially in a family session with young children, if we stick to one of the smaller palaces. For a couple session, this is not so much of a problem. One of the unfortunate things about the palaces is their opening hours, especially during the warmer months. The best light of the day for your photography session happens in the couple of hours after sunrise or the couple of hours before sunset (the so-called “Golden Hours”). So, we should always try to shoot right at opening time, or in the hour prior to closing time for the best results. Of course, if your children are more active at other times, we can reschedule our session to make sure they’re at their best for the photography. Best Palaces for a Family Session: Changgyeonggung or Changdeokgung (and sometimes Gyeongbokgung if you’re lucky with the crowds). Best Palaces for a Couple Session: Gyeongbokgung, Changgyeonggung, Changdeokgung, or even Unhyeongung for something different. Seoul’s parks are numerous and their scenery changes greatly from season to season. 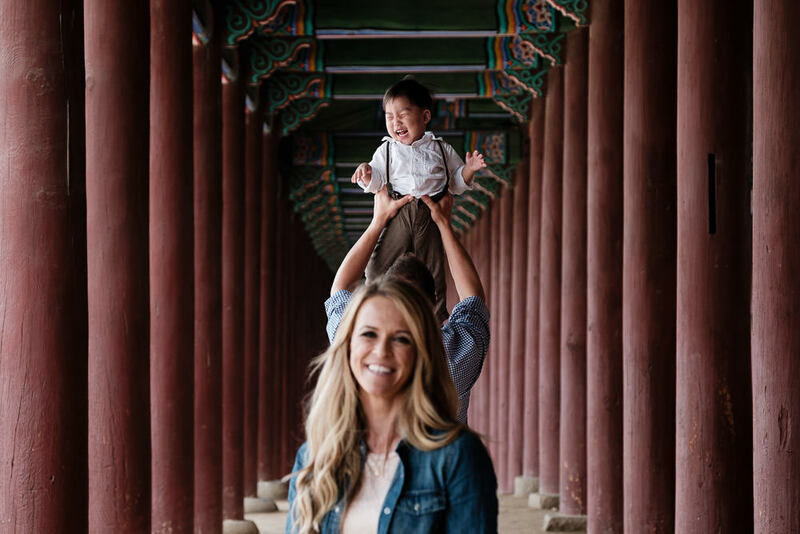 If you’re looking for a session that is all about your family with a less Korea-oriented backdrop, the parks are certainly a great option. The one recommendation I have for all of these is to avoid them on the weekends. Although they’re a great place for a picnic, they get extremely busy for a family photography session. Yeouido Park is an excellent spot. From the traditional pagoda on the lake to open grass and a couple of playgrounds, there are plenty of options in this park. In the spring, you might be lucky and catch the plum and cherry blossoms (check my article on Korea’s seasons and weather for more information on these). If we get bored of the park, we can also make the short walk to Yeouido Hangang Park. This is a great spot in the summer with its fountains and streams to play in. It also offers a great view of the city. 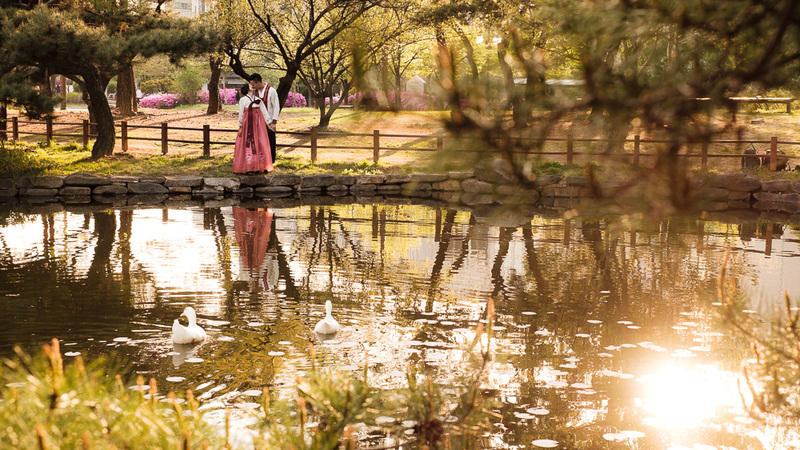 Great for: Family sessions or Couple Sessions using the Han River park as a second location. There are plenty of Cherry Blossoms here, too. But remember they can be tough to predict! Olympic Park can be a nice location during the warmer months in Seoul as there is plenty of grass to play on and some lovely patches of trees to find some shade. For a more open and active session, this could be a great location. It does take a little walking to get to the nicer parts of the park, so keep that in mind when considering this one. Great for: Summer sessions with active children. These two are together nearby the World Cup Stadium in Mapo-gu. World Cup Park is at ground level and offers a small stream, some open grass, beautiful foliage, and a respite from the busy city around it. If you’re looking for some sunset photos with the eulalia grass, wait until autumn when they have grown tall and have a beautiful shade of brown. Spring and Autumn are the best times of year to visit these parks. Remember that Sky Park, as the name suggests, is at the top of a hill. There is a very long staircase or an electric bus to get up there. It takes about 30 minutes either way. Peace Park: Great in the warmer months, lots of options. Sky Park: Great in autumn for the eulalia grass. Located just outside of central Seoul, this park offers great scenery all year round. Although it can be very busy on the weekends, during the week you can find a peaceful corner easily. Peak times for this park are spring (for the blossoms) and early summer (for the verdant greens and water fountains). But, you can find something in any season. The park has beautifully symmetrical rows of trees, an open field, a playground, public art, and even a reflecting pond. Great for: Family or couple sessions all year round, a very versatile location. Plenty of cherry blossoms if you’re lucky with timing! This is an area I get requested quite a lot, but very rarely recommend. It is heavily touristed and quite a hike to get to. If you wait until the edges of day, it can be a rather nice location in the warmer months. For a couple session, it can be good fun to find the nooks and crannies of the area, but I no not recommend it for a family session due to the hills and crowds. Great for: A sunset couple shot down the postcard alley, nooks and crannies, and a giant wall of creeping vines in the warmer months. Jeonju’s Hanok Village is a much more walkable option that offers much more variety than Bukchon. Although the main streets are extremely crowded in Jeonju, a quick walk down any of the alleys provides you with relative isolation and plenty of shooting options. 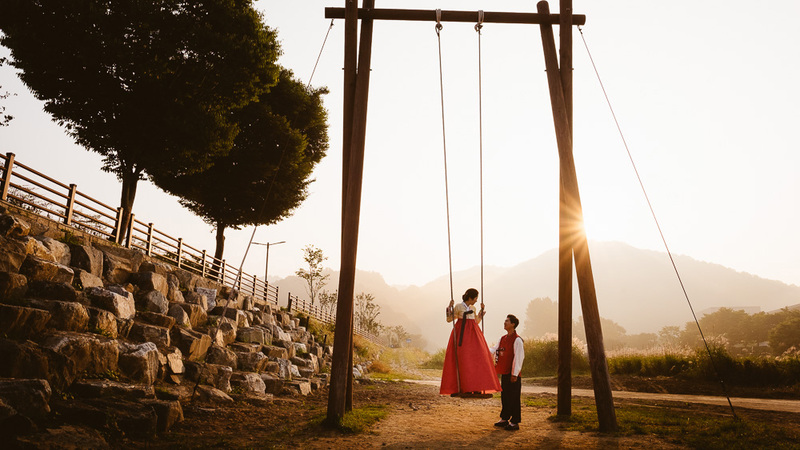 Although it is a few hours out of Seoul, if you’re going to be visiting Jeonju anyway, I would recommend it as a great option for your family or couple session. 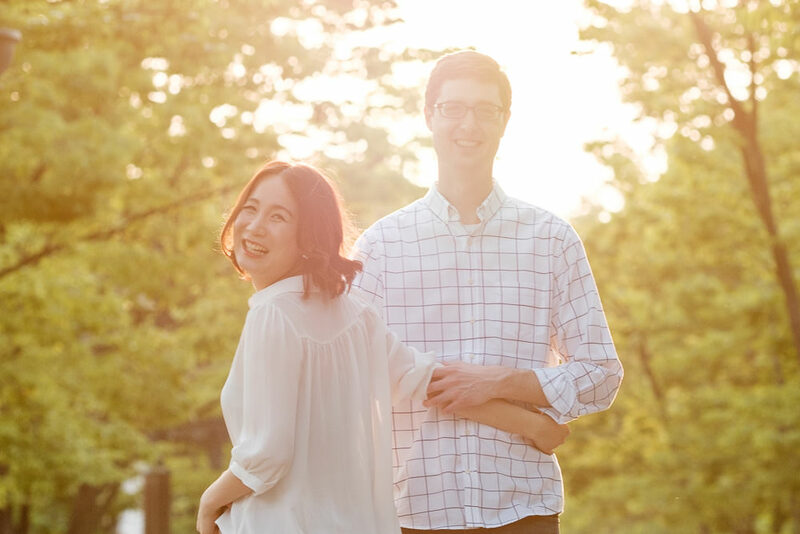 Great for: Family sessions in the warmer months or couple sessions all year round (Jeonju is really pretty in the snow!). For those wanting to get away from Seoul, Nami Island can be the perfect retreat. It’s gorgeous rows of ginkgo trees and riverside walks appeal to families and couples alike. It is a beautiful place. One thing to remember are that although it may seem close, public transport will take 2-3 hours from Seoul including the ferry to the island. Also, it gets extremely crowded, even during the week. The best times to shoot on Nami are very early morning and just before the sun goes down. No worries there, however, as there are bungalows that can be rented on the island! Great for: Those willing to travel a little. Perfect in every season, but bitterly cold in winter! This is the one place where you can clearly see Korea’s four seasons in action. 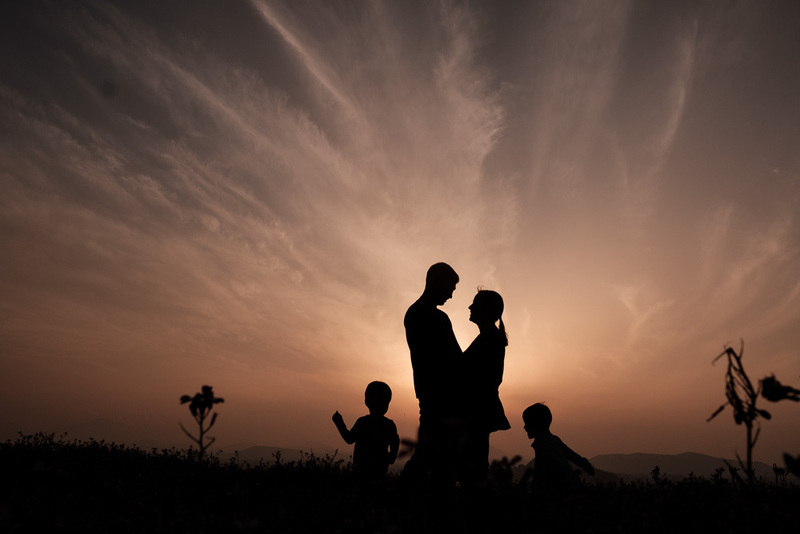 Jeju is a beautiful location for a family session. There’s just so much to choose from. Open fields, forests, beaches, and stunning views of the ocean. Being just a short flight (one of the hundred flights every day!) from many of Korea’s domestic airports, it is a very popular weekend destination. With a couple of weeks notice, we can schedule a time to meet on Jeju and make some beautiful photographs on Korea’s most popular island. Great for: Nature. Beaches. Perfect for a couple session as we can rent a car and cover lots of ground. Beautiful for family sessions as well. Spring and Summer are beautiful, just remember it gets quite windy! Of course, these aren’t the be all and end all when it comes to locations in Korea, so please don’t hesitate to ask if there’s somewhere else you’d like to go! I’m more than happy to explore new areas and plan something unique just for your family. Please get in touch using the booking form above to talk further about your own family photography session in Seoul or anywhere else in Korea.